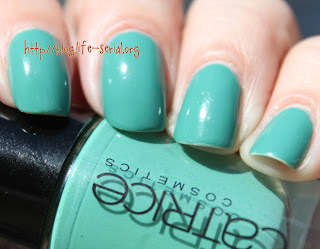 The one with Catrice I Sea You! This is another polish I got in my swap with Kati :) This is my first Catrice polish. I have to say I really love it! It's an aqua-y turquoise-ish green that's kind dusty. I wore it for two days, and got so many compliments :) I used two coats of polish.